The endpoint URL consists of the URL of your Magento shop and the extension: /index.php/api/soap/index/. Go to your Magento backend. Click on Add new integration. 6. Select All from Available APIs. 8. The status field must be set to Active. Click on Available Shops and select Magento 2. 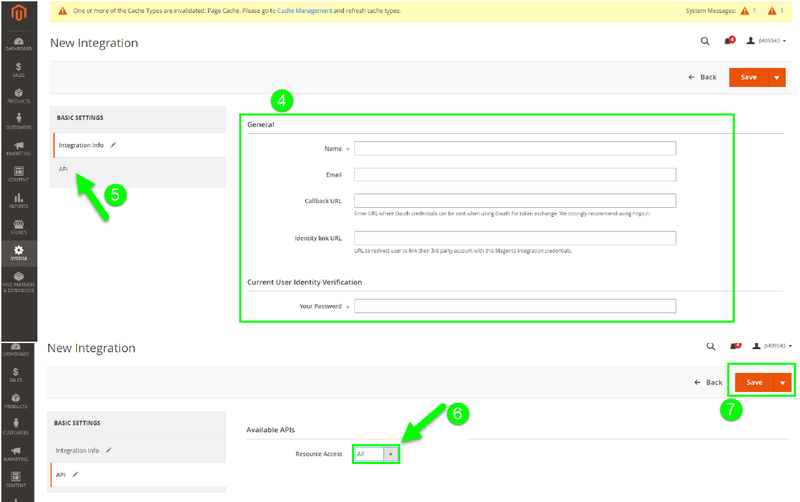 Enter an internal name for your Magento shop. 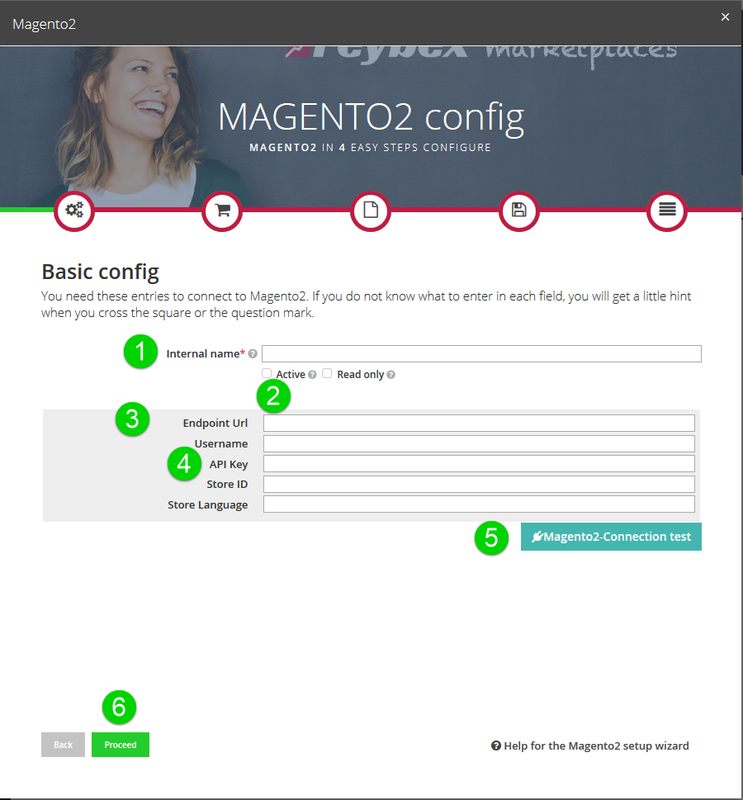 Click the checkbox Active to activate the connection to your Magento shop. Enter the Endpoint URL of your Magento shop. Transfer the API key from Magento to reybex. Please note: If you enter your data via Copy&Paste, please make sure that you do not copy any spaces. This will cause errors in the connection to your Magento shop. Fill in the following forms. Keep on clicking on Proceed. Under Import Categories, click Read categories and import your Magento categories to reybex. Click Save and start article import.